The year after Charles Lindbergh made the first flight across the Atlantic, Amelia Earhart followed suit. Although she’d had a pilot’s license for five years by 1928, Earhart lacked the training necessary to fly the plane herself during that maiden voyage; but made history nonetheless as the first woman to fly across the Atlantic as a passenger. Within four years, the striking aviatrix who’d come to be known as “Lady Lindy” garnered international renown when she landed in a field in Northern Ireland, after a harrowing fifteen-hour flight from Newfoundland in her bright red Lockheed Vega. In 1935, the first woman to pilot a solo trans-Atlantic flight made history again as the first person to make solo flights from Hawaii to California, and from Mexico City to Newark. That same year, seeking to increase female enrollment, Purdue University President Edward C. Elliott invited Amelia Earhart to serve as a consultant in the Department of the Study of Careers for Women at Purdue and as a technical adviser in its Department of Aeronautics. 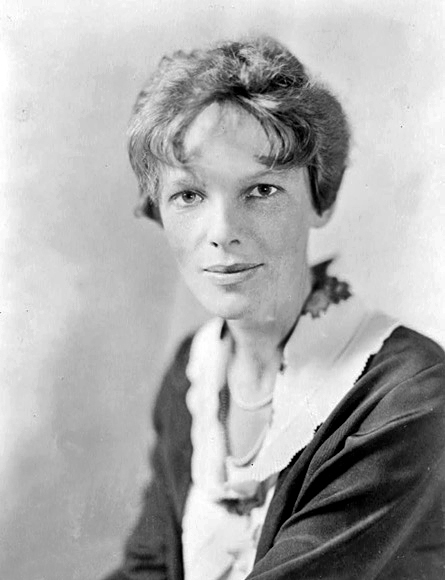 During her tenure at the West Lafayette campus, Earhart lectured on topics from aerial navigation to partnership in marriage to the practical applications of a university education. 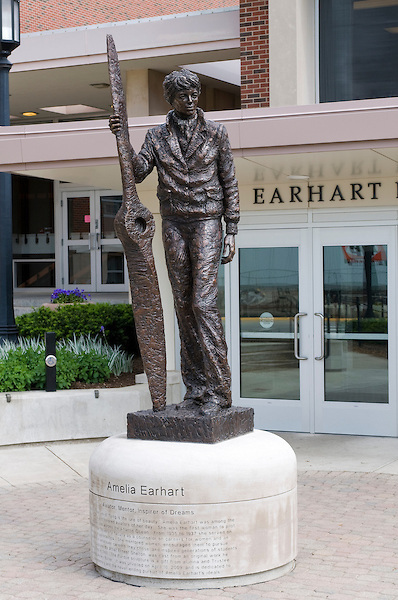 It was while employed at Purdue that Earhart hatched her plan to circumnavigate the globe by air. Gift funds raised through the Purdue Research Foundation secured the Lockheed Electra 10E the trip would require. Numerous photographs from the era show Earhart disembarking from that aircraft at the Purdue airport, the nation’s first university-owned facility of its kind. Amelia was piloting the Electra when, three-quarters of the way through their voyage, she and navigator Fred Noonan were lost over the Pacific Ocean on July 2, 1937.